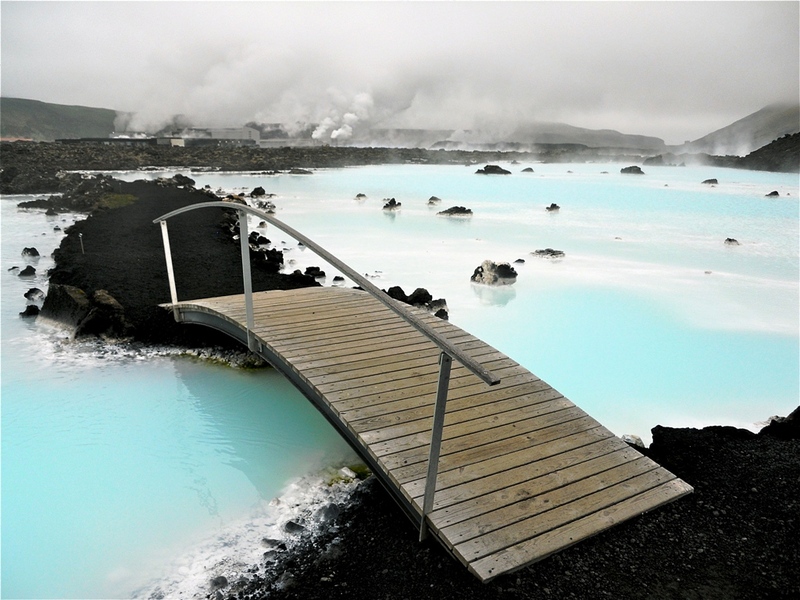 Within an hour of arriving at the Keflavik airport, I boarded a coach bus which transported myself and a handful of eager travellers to one of Iceland’s most popular attractions; the Blue Lagoon. 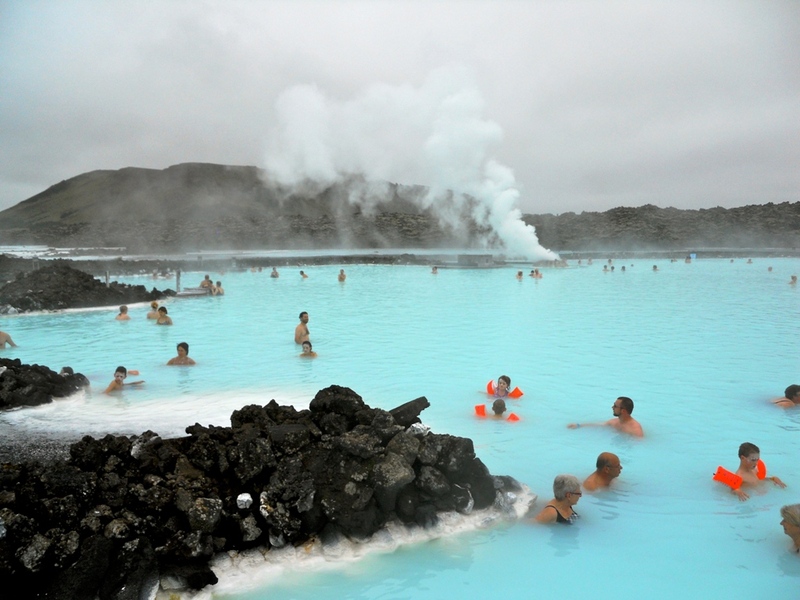 Fed by the warm and mineral rich water output of the neighbouring Svartsengi geothermal power plant, the man-made lagoon has become a popular destination for both locals and international globetrotters who wish to experience the area’s natural beauty and skin soothing waters. 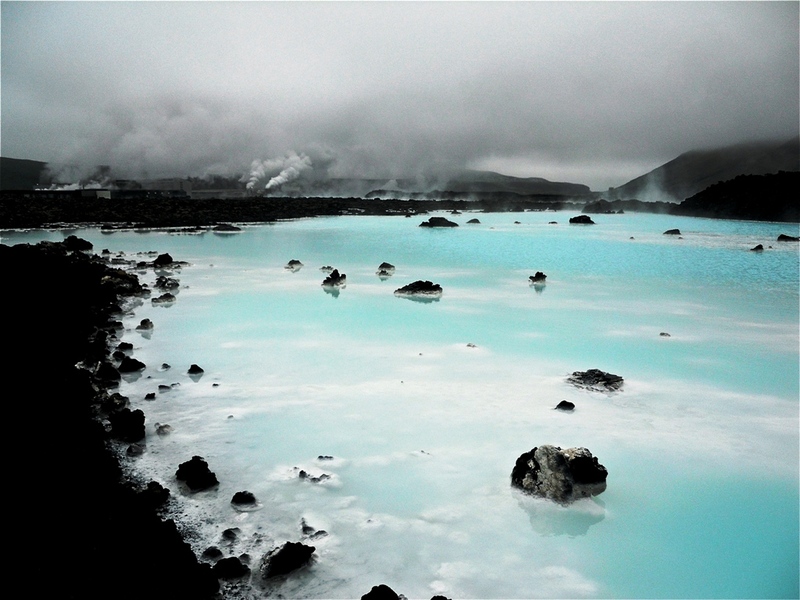 As the bus pulled up to the plant I’ll never forget my first view of the overflow pools – steaming milky blue water nestled against white mineral-lined black rock. The contrast was beautiful. Before heading into the geothermal spa for a swim, I veered to the left of the building to walk along the free footpaths surrounding the facility. Luckily for me, an early flight meant beating all the tourists and crowds. I walked around and photographed the area until the chilly wind made the warm waters seem irresistible. The Blue Lagoon facility itself was very modern, and after changing into my bathing suit and being amused by their high tech locker system, I was ready to head out on deck and take my first step in the pool. It was hot! Very hot. Especially in contrast to the island’s cool summer temperature. It felt as though you were stepping into a giant outdoor hottub with a smooth mineral lined bottom. Once you were in however, there was no desire to get out, and everyone of all ages was seen to be enjoying themselves! Old men were walking around with silica mud masks, kids were paddling around in bright orange water wings which really stood out against the steamy blue water, and the swim up bar was full of people looking to get their vacation started early. The pools even had a roped-off hot spring which added additional heat and ambiance. As someone who loves to travel and has been fortunate to have seen multiple landscapes across the globe, I can honestly say that the country lives up to its reputation of “unique Iceland”. Where else can you swim in geothermal pools, walk on a glacier, get close to a twenty story waterfall, trek along lava fields of a recently active volcano and eat a puffin all in one day? Katie Stiel is a Project Coordinator at Environment Hamilton. 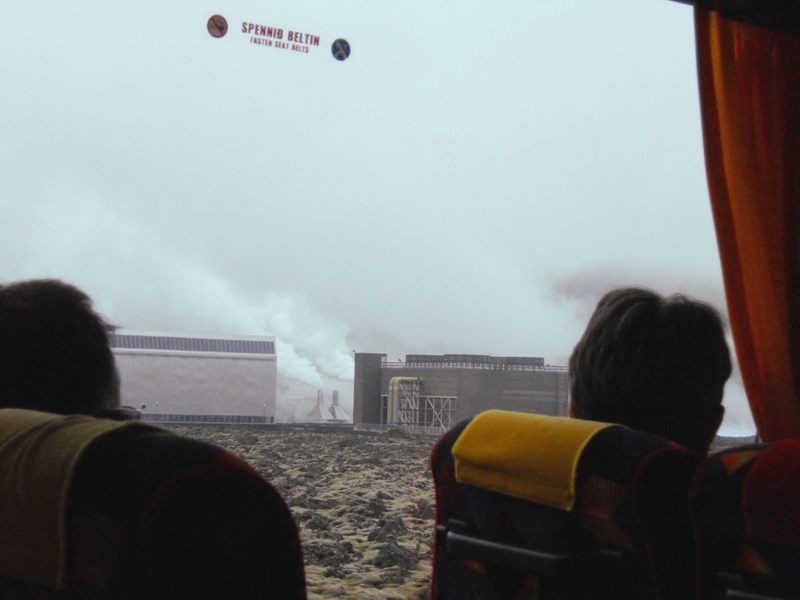 100% of Iceland’s electricity is generated from geothermal or hydro sources. Learn more about renewable energy in Iceland.